The deal started on Thursday, April 11. Lyft is partnering with eight D.C. bars to offer discounted rides home and free drinks this spring and summer, the company announced. Every Thursday night from 5 p.m. until midnight, customers can get a free drink and 20 percent off their rides home. In order to redeem the deal, customers must show the bartender their Lyft app. The bartender will then serve their drink and type the promo code into the app, a news release said. The promotion ends July 4. 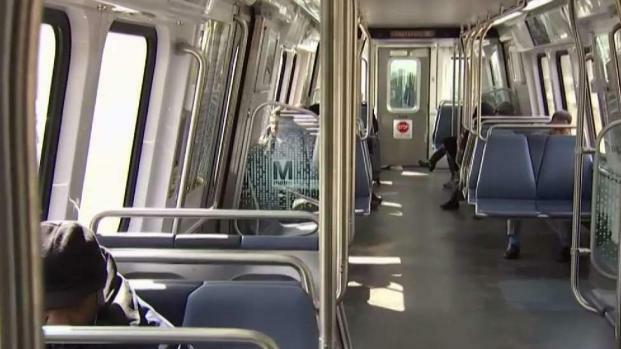 News4's Adam Tuss takes a look at Metro ridership, according to the latest data. The eight participating bars are American Ice Company, Brixton, El Rey, Gaslight Tavern, Players Club, Satellite Room, Ten Tigers Parlour and The Brighton. The drink offers vary by location and there are only 200 redemptions per night. There is a limit of one free drink and discounted ride per person each week. Lyft announced the deal on April 8.